Acclaimed for his traditional approach (no literary mash-ups, aliens or vampires here), this is Denis O. Smith's first novel length Holmes pastiche. An invitation to take lunch at the Great Western Hotel at Paddington station leads Sherlock Holmes into a baffling mystery. Who is it that is watching every move made by popular journalist, Farringdon Blake, and why? 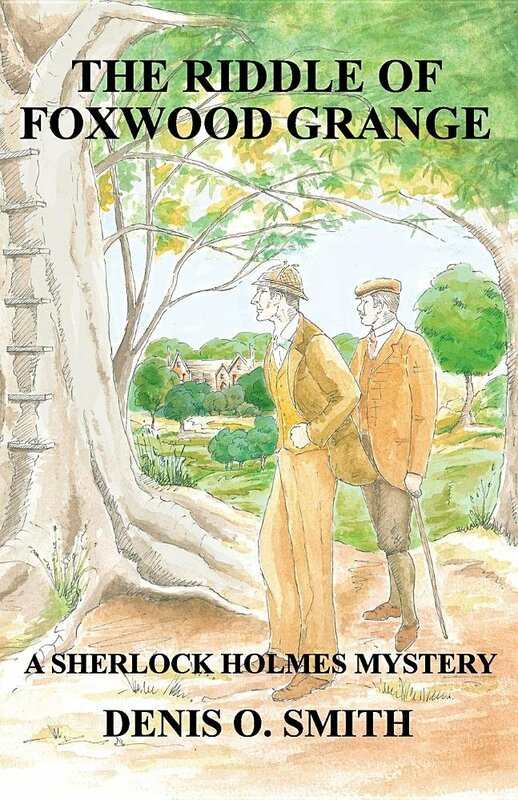 When the trail goes cold in London, Holmes and his friend, Dr Watson, must travel down to Foxwood Grange, Blake's home in rural Oxfordshire, to seek a solution to the mystery there. But Foxwood Grange, a 300-year-old Elizabethan mansion, is a house with a chequered past and holds mysteries of its own.